Textile artist Melinda Heal brings a contemporary Australian approach to traditional Japanese dyeing techniques to create a remarkable exhibition currently on show at Newcastle's Timeless Textiles Gallery. Heal's work takes a contemporary approach to the traditional Japanese resist-dyeing techniques of katazome and yuzen. 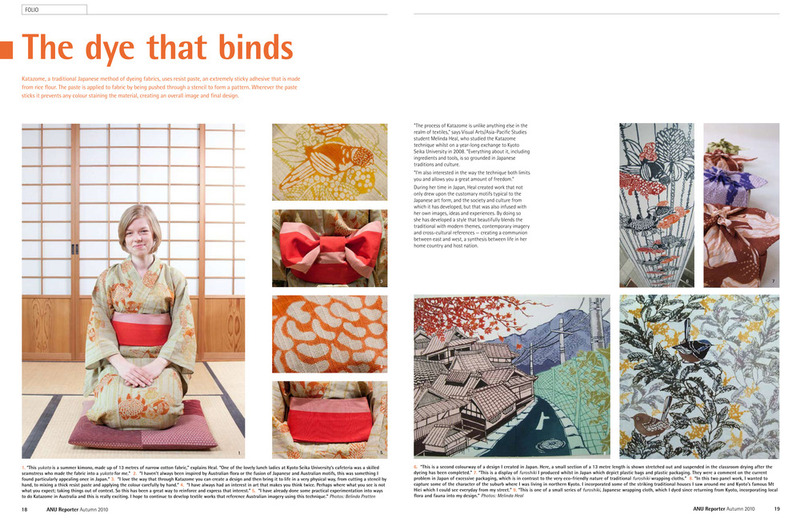 This is a podcast interview I did in 2014 with Ash and Eric from the Kyoto Pechakucha team all about Textiles, Kimono and what I'm doing in Japan. 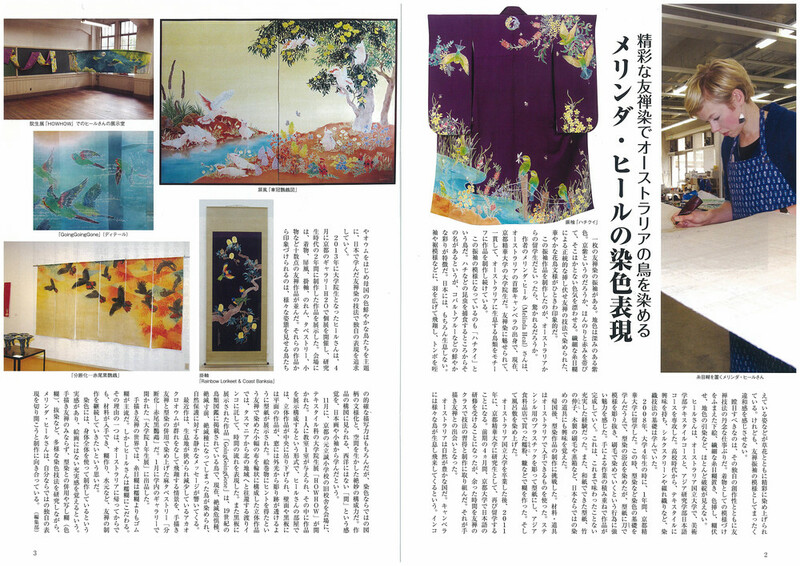 Feature article "Melinda Heal's Dyeing Work" in Senshoku Alpha - a Kyoto based Textile Magazine. April 2014 Edition. A profile video created by Eric Luong & A.W. Mavilio at 3F Project Room in Kyoto, February 2013. click image or view here. Feature in the Autumn 2010 edition of The ANU Reporter, an Australian National University publication.